Does this scenario sound familiar – You’ve been really busy, don’t have dental insurance, and now your tooth is hurting. What do you do? 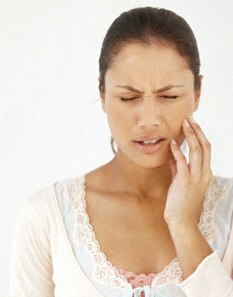 The very first thing you need to do is to determine if it truly is a toothache or if it’s just sensitivity. To make an accurate determination of what is happening, an x-ray of the problem tooth or teeth is necessary. This is a very common problem. Just go to the drugstore and see how many different types of toothpastes are for sensitive teeth. We will need to know when your tooth is causing you trouble and for how long. Again, you may not have a problem that needs to be fixed with a filling or other treatment, but you might. I know, not a great answer. Unfortunately you can have sensitivity from gum recession or from decay (cavity). Both will feel bad with temperature and different foods. If you haven’t been to the dentist for some time I would highly recommend you schedule an appointment ASAP. The sooner we can evaluate the area the better the chances of getting a simple resolution. Remember, it costs about the same to have a tooth filled as it does to have it removed. Fillings last a long time but so do empty spaces in your jaw. Yes, we can fill in the space but it can cost significantly more than just getting it fixed early on. You know it’s bad if the pain won’t go away. It’s going to be potentially worse if you’ve had pain before in the same area and did nothing about it. We can help you no matter what the situation but the options may not be easy. How can you tell if you have a legitimate toothache? Cold makes it feel better, which is a sign that the nerve in the tooth is dying. Sweets make it hurt more. Pain on biting that lingers – This is a sign that could indicate that your tooth is cracked. If we get to it soon you may avoid a root canal or tooth removal. It hurts when food gets trapped down in the tooth – An area where food is collecting that didn’t used to be there is a sure sign of trouble. If it’s just the gum that is getting irritated you may still be able to get away with just a filling. If you wait to long the remnants of your diet will enable the bacteria to work rapidly leading to bigger problem. Take over the counter pain medicine as indicated. Whatever you take for aches and pains. Call our office for an appointment – We’ll get you out of pain right away. Possible treatment solutions include a filling, crown, root canal or tooth removal. We will need to evaluate the area before giving you the treatment options.